It has become a tradition for me to create a family calendar each year, using some of the photos provide by my children of them and the grandkids, along with the photos I have taken. I am not a user of iPhoto, except for this annual production. I first collected all the photos using Dropbox and then brought them into iPhoto, where I use their calendar project to create the calendar. I usually use one of Sara’s photos for the cover. For each month I use photos of the family members whose birthday is on that month. For March, that means only myself. For the calendar it is just a matter of including the US holidays and the birthday for each family member. I like to use iPhoto because I can then have Apple print the calendar. It makes thew whole process very easy. I have used other services in the past, but that means using a web interfacet to create the calendar and I find iPhoto much easier and I like the quality and size of the Apple Calendar. I have been creating a family calendar for several years now, giving it to each of our kids at Christmas. Each year I pick some pictures from the past year and include them. I started out with a do it yourself approach where I would have actually printed the pages on my home printer, then take them down to the office supply store to have their wire bound. Although I am a big user of Adobe Lightroom, and rarely use the iPhoto program that comes with the Mac, I gave it a shot last year in producing the family calendar. That turned out to be a great process and much easier than some of the online services I had tried. Right from within iPhoto, I am not only able to create the calendar but click a button to have it printed and mailed to me. In past years the calendar was only 8.5 x 11 in sheets, but this new one is much larger format and the quality is very professional. I didn’t have to give it an second thought to use iPhoto once again to create the calendar but since two of my kids have digital SLR cameras and my daughter takes far more and much better photos of her family than I ever was able to do, I added a new approach. I created a photo gallery on Mobile Me for staging of all the photos. I had a title slide for each month, not to be included in the final product, but to help me sort the photos so I would have several candidates for each month. 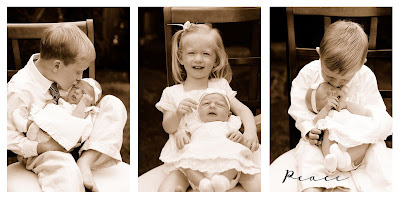 With our children living all around the country, I needed a method for them to easily give me their photos. Then any in the family could use this gallery to upload their photos directly. Then using iPhoto 09, it was easy to drag the photos around inside the web gallery to get them sorted by month. 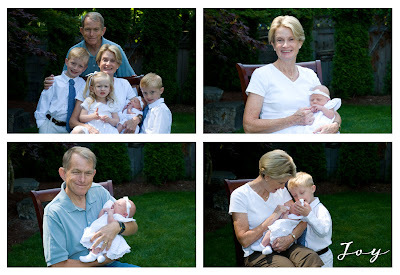 Between Anne and I, our four kids and our eight grand kids, we have birthdays on most all of the months of the year. I grouped the images so those who had a birthday in a particular month could see the pictures of themselves on that month. Next step was to use iPhoto to create the calendar. I just selected the Mobile Me gallery and clicked the create calendar button. I did not even have to download the photos to my local hard drive. I selected the Picture Calendar format to use, which has a photo page on the top sheet and a calendar on the bottom. ON screen I could work which each month and all the images from the Mobile Me Gallery on the left side. I started out with the cover page and picked an image to include and changed the title. Then for each month, I would first enter any birthdays on the calendar portion (I had it insert the US holidays when I first started). 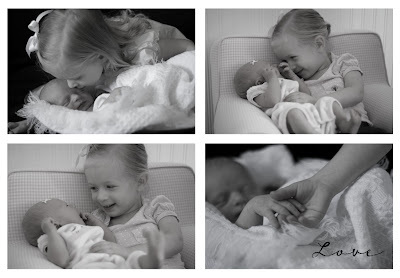 Then for the top picture portion, I would first select a layout, from 1 to 7 images. Then it was a simple matter of dragging the photo from the left bar into one of the image placeholders. If I wanted to try some other photo, I just dragged it over and it replaced my first attempt. Once inside the placeholder you can zoom and pan the image if you wish. When Anne and I were happy with the final results, I clicked the Buy Calendar button at the bottom. The cost was about $20 per calendar, plus shipping. I will get them in time to hand out to the kids at Christmas time. Some of the pictures that Anne and Franz took on the recent Sierra to the Sea bicycle tour were published in a two page photo spread in the August Black and Blue Bottom newsletter. Here is a small section of one of the pages, with our own photo in it. Since so many of our recent posts have been about photography, I have updated the image at the top of this blog to include a recent photo of the two of us taking pictures at Crater Lake. On the way home from visiting Sara and family we took a couple days to make a stop in Medford Oregon. Sometimes we stay one night there to breakup the 13 hour drive into two sections but this time we spent two nights so we could spend a day at Crater Lake National Park. Crater Lake was formed by a volcano and is the deepest lake in the United States. It has not water inflow or outflow so the water in the lake is only from the local snow fall. It is one of the clearest water bodies anywhere and the deep blue from the depth of the water. The picture above is a merge of 3 photos. Click on it to see it enlarged. This was our first time to visit this National Park. It was less than a two hour drive from Medford. We arrived in the morning and tooks some pictures from the area near the Crater Lake Lodge. Ann was shooting with her Nikon D70 and Franz with his Nikon D300. We then got on our bikes and started to bike around the lake. Franz carried the Nikon D70 on a backpack so we could take some photos from different locations. Ann told Franz to go jump in the lake! But this was as close as Ann would get to the ledge. On the drive back to Medford we stopped at the Rouge gorge to take a few more pictures. It is hard to capture water falls. Ann and I rode the tandem up Mt. Hamilton today. It was a Friday so there were not very many cars on the road. It was beautiful weather, just like the baby bear likes it, not too hot and not too cold. We wanted to get a picture at the top but there was no one around to take it so we took turns taking each other’s picture standing behind the tandem with the Lick Observatory in the background. I then merged the two photos into one. Presto, a group shot. The new Photoshop Elements 6 for the Mac does a great job with photomerge. See my photography blog for the details how how I created this image. The local paper, visited us a couple of weeks ago to do a feature story that would run in conjunction with the ACTC annual Tierra Bella Century ride. A few days later one of their staff photographers came by to take our picture with our tandem. through Henry Coe State Park. At 60-years-old, Franz Kelsch has been called a glutton for punishment. In 2007 alone, he bicycled more than 10,000 miles and climbed more than 600,000 feet – which is more than 100 vertical miles. This week, the Gilroy resident is gearing up for a 122-mile weekend romp through Henry Coe State Park.The Tierra Bella, an annual event put on by the Almaden Cycle Touring Club, will lead more than 2,000 bicyclists in a spectacular loop beginning and ending at Gavilan College. Although the course offers various routes ranging in distance from 37 to 122 miles, Kelsch and his wife Anne, 59, have chosen the most difficult one to conquer. Having recently completed a 200 mile race – also known as a double century – in Solvang, the Tierra Bella should be like a walk in the park, Kelsch said. 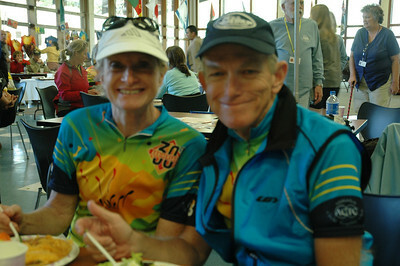 Active members of the ACTC, he and Anne plan to complete the course as a team, riding their tandem bicycle and snapping photos along the way for the club’s Web site, one of Kelsch’s many technological creations. As the club’s designated Web master, Kelsch has designed a Web site that is considered one of the best in the country, said Karl Laucher, a media representative for the Tierra Bella. “This man gives the club peak performance in many departments,” Laucher said. The Kelsches have been running together for 30 years and turned to cycling to add a bit of cross training to their routine. When Kelsch’s job with General Electric took him and his family to Japan for 13 years, he and Anne started their hectic daily routine of living in Tokyo with a pre-dawn run through the quiet city streets and parks. “A family that runs together stays together,” Anne said with a smile. She and her husband have been married for 38 years. Now retired and with their four grown children out of the house, the couple soaks in the California scenery from behind their handlebars. They have covered miles and miles of the local terrain together and cite their unusual lifestyle as support for their marriage. The couple recently biked along Monterey’s 17 Mile Drive and often find themselves marveling at the beauty of local plant and animal species as they wind through Henry Coe. “California has some of the best biking roads around,” Anne said. “Especially this time of year. You can’t ask for a more beautiful place.” When cycling through the park, the views often remind her of Europe, she said. Because of their hobby, they have discovered many of the state’s environmental wonders, Kelsch said. In addition to spending quality time together, better balance and coordination, fewer back pains and a positive outlook are byproducts of their daily rides. With their regimented exercise routine, the Kelsches notice fewer ailments than most people their age. “As you age, cycling is a good thing for older people because it’s low impact,” Kelsch said. “I like to do difficult things where I can test my ability. I mostly ride with people much younger than I am.” He and his wife still push themselves to hit higher goals although Anne has only completed a century, she admitted. “I’m just a hundred-mile girl,” she said. Kelsch, on the other hand, competed in a 44-hour ultra marathon through Death Valley last October. As a member of a two man relay team, Kelsch rode 260 miles through the desert to complete the course 10 hours ahead of time. With thousands of miles of cycling and running under their belts, the couple is addicted, they said. On Saturday we set out to ride the Tierra Bella century ride (100 miles). Franz first biked up to Gavilan College to take a few photos of the volunteers there and after returning, both jumped on the tandem and set out on a modified 100 mile course. I wrote out the photographic aspects of this experiment on my photography blog.We wanted to visit each of the 6 rest stops, something that no individual routes does. We first biked 12 miles to Uvas Rest stop, then went backwards to Watsonville road and biked down to the Machado Rest Stop. We biked along Oak Glen, taking pictures for the riders coming the other way until we rejoined the 100 mile route, which we followed from that point. We ended up with 98 miles by the time we finished where we enjoyed a nice post ride meal.